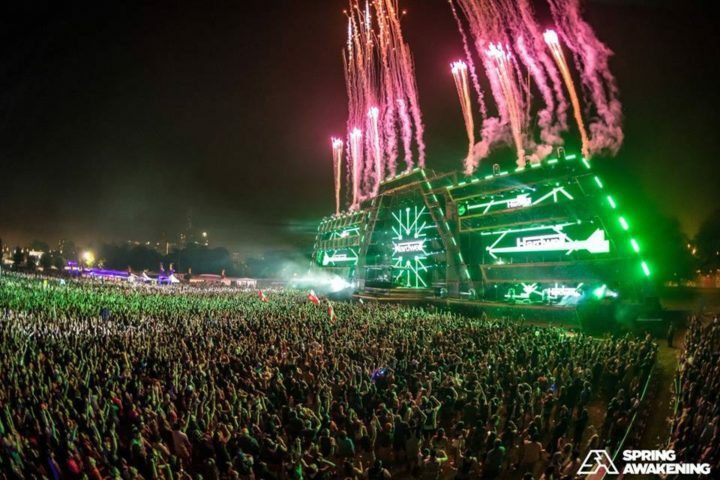 Spring Awakening Music Festival (SAMF) organizers have revealed the full artist announcement for the 2019 event, set for June 7-9 at Poplar Creek at 59-90 Entertainment District in Hoffman Estates, Ill.
More than 90 artists will perform, including Galantis, Zomboy, Yellow Claw, Malaa, Dillon Francis, Flosstradamus B2B 4B, Benny Benassi, Space Jesus, Chris Lake, Shiba San, Liquid Stranger, Claptone, Nora En Pure, and many more (see full graphic below). The move to the Northwest Chicago suburb or Hoffman Estates comes as a surprise to many fans. The festival previously announced a move to Douglas Park after three years at Addams/Medill Park, but community leaders there ultimately denied event permit requests. The new location boasts 27 acres of land, nearly double that of last year’s site, which allows for bigger and better stages, more production, and additional experiential environments. Complimentary shuttles from nearby Metra stations to the festival grounds will be provided to fest-goers. The grounds are less than ten minutes from multiple hotel options, and for the first time in SAMF history, the location will allow for festival parking on site. 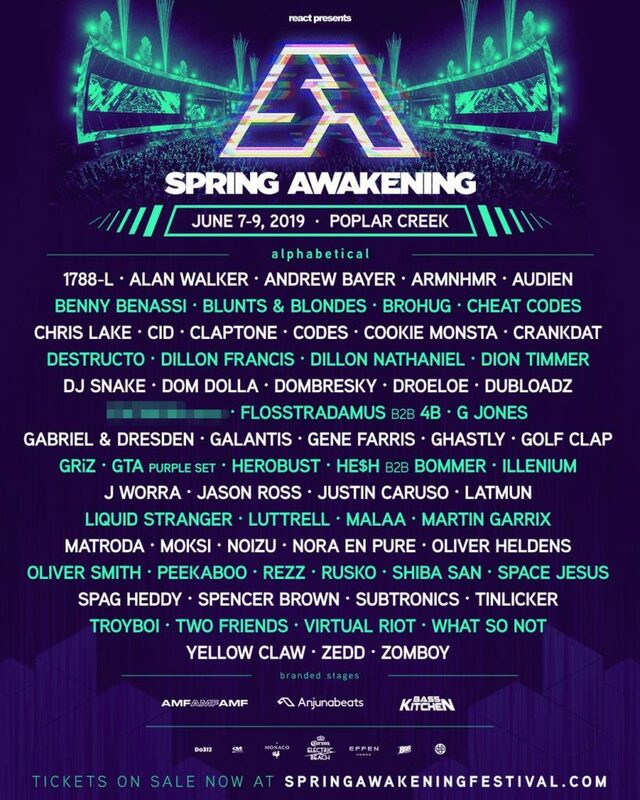 Spring Awakening tickets are on sale now, priced at $179 for a three-day general admission pass. Single day tickets and lineups will be announced soon.